The Kruger National Park is a vast wilderness area that was established over 100 years ago, yet this conservation area is still expanding to include private protected areas and National Parks in neighbouring countries. Here, we tell you more about the importance of large ecosystem conservation in Africa, including the Greater Kruger National Park in South Africa and other wilderness areas you can experience and contribute to with African Conservation Experience. Lots of space. Not just any space will do – lions, wild dogs, elephants, and rhinos (to name a few) need large amounts of food, which for the carnivores means many different prey species that in turn rely on grasses and trees, as do the big herbivores. These plants and mammals form part of a larger ecosystem, which includes hosts of birds, fish, reptiles, and amphibians. Unfortunately, the largest animals are considered a threat to human lives or their livestock and crops, which means that the ideal space to set aside for them is separate from villages and farmlands. The requirements of these species is both a conservation challenge and an opportunity. The challenge lies in setting aside large enough space for these animals, on a continent where the human population is expected to double by 2050. Yet if we meet the challenge of conserving our large carnivores and herbivores, we will have an amazing opportunity to conserve the many other plant and animal species that live in these conservation areas. But how can we even dream of protecting large expanses of land for wildlife in a country like South Africa, where population growth, coupled with poverty and unemployment, drives the demand for land to support local livelihoods and economic growth? Enter the jewel of South Africa’s wildlife conservation crown – the Kruger National Park. Officially established in 1898, the Kruger Park (as it is commonly known) has grown in size over time – something that few other African protected areas have achieved. You can read more about its rich and fascinating history here. The key success of the Kruger is wildlife-based tourism, which generates income and creates jobs, whilst simultaneously protecting animals and their habitat. Yet this conservation success story doesn’t end with protecting an area the size of Israel, or two thirds the size of Belgium; it goes much further than that, and the future looks brighter still. Wait, there’s more than the Kruger National Park? Private landowners neighbouring the government-managed Kruger National Park saw an opportunity to replicate this success by establishing their own game reserves bordering the reserve. These private reserve owners demonstrated their commitment to conserving the wildlife on their properties by reducing poaching and providing neighbouring communities with much-needed jobs. However, the true value of these new neighbours was only fully realised after the groundbreaking decision to drop the fence that was preventing animal movement between the National Park and the Sabi Sand Reserve in 1993. This was followed by a similar agreement with the Associated Private Nature Reserves, an umbrella body that represents five private reserves adjacent to the Kruger that dropped their fences during the period 1993-2010. The private nature reserves, along with three other areas owned by local communities, added an extra area the size of 330,000 football pitches to the Kruger, thus forming what is now known as the Greater Kruger National Park, also known as the Greater Kruger. In another exciting development, the Greater Kruger in South Africa now links and joins National Parks in Zimbabwe and Mozambique, forming the Greater Limpopo Transfrontier Park. This internationally protected area covers 3.5 million hectares – about the size of the Netherlands, or the State of Maine. As the third largest protected area in Africa, it is recognised as a key area for the conservation of lions, elephants, African wild dogs, black and white rhinos, as well as providing habitat for another 143 mammal, 116 reptile, 49 fish, 34 frog, and over 500 bird species. If you would like to know more about the future plans for the Kruger and its neighbours, have a look at their recently developed 10-year management plan. Can I contribute to the Greater Kruger and other large wilderness areas through ACE? Yes, you certainly can! We are passionate about conservation in Africa maintaining large connected areas and conserving the remaining wilderness areas that harbour globally significant populations of large carnivores and herbivores. In South Africa, our Game Ranger Experience and Rhino Conservation Experience are located in the Greater Kruger. Where better to gain bush skills than in one of the largest intact wilderness areas in Africa? Furthermore, School and College Field Trips can include the Greater Kruger National Park in a tailor-made itinerary, which we think is the ideal introduction into Africa’s wild places for young people. We believe that research and management projects make a greater positive impact for African conservation when they are conducted within large, intact ecosystems. In these areas, the animals are free to move, behave, and breed naturally. Studying these large, natural populations provides us greater insight into animal ecology and behaviour than studying animals in small, fenced reserves. Furthermore, managing these wilderness areas wisely is critical to the long-term success. In line with this philosophy, we have projects based in the Okavango Delta and the Namib Desert ecosystems, which are among the largest wilderness areas left in Africa. 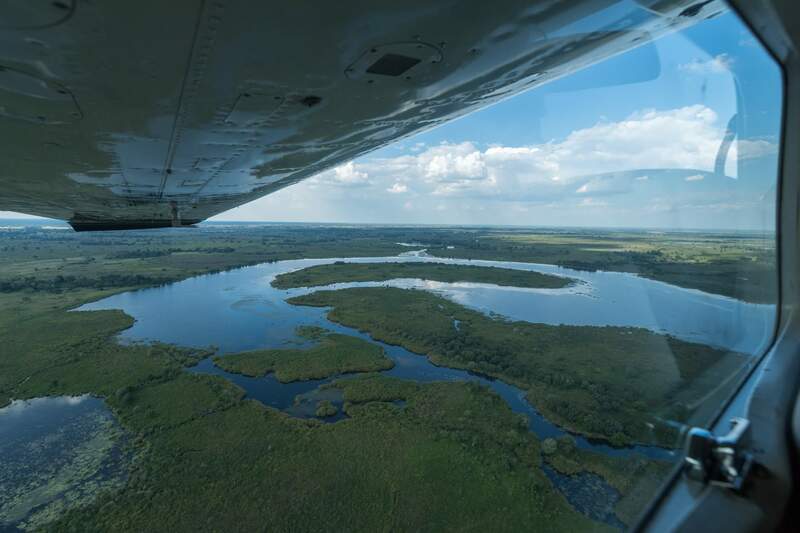 By joining our Okavango Wilderness Experience, you can be part of a long-term research and management project located within the Okavango Delta ecosystem. Like the Greater Kruger, the Okavango is part of a much bigger Transfrontier Conservation Area, known as KAZA. This area is nearly double the size of the United Kingdom, and consists of National Parks, Reserves, and Community Conservation areas in Botswana, Angola, Namibia, Zambia and Zimbabwe. During this experience, you will be part of a long-term monitoring project for herbivores and carnivores, including elephants, buffaloes, lions, and wild dogs. 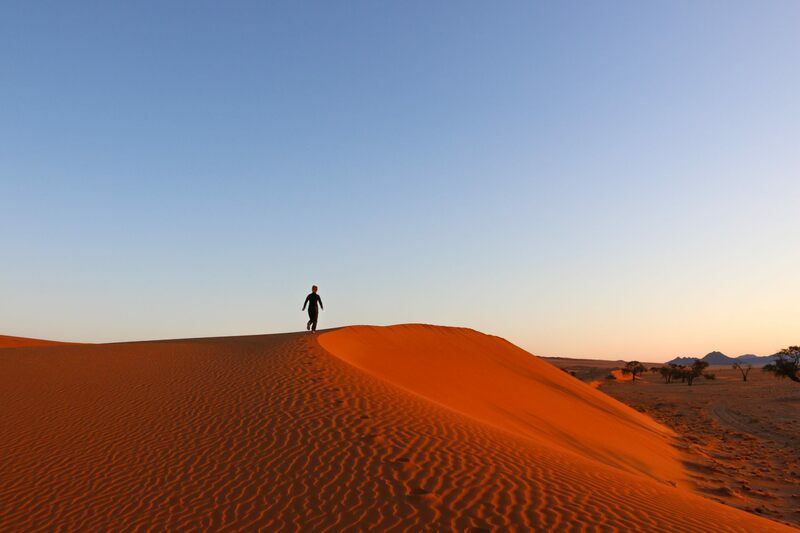 Similarly, our N/a’an ku se Predator Research Project shares an unfenced boundary with the vast Namib-Naukluft National Park, which is connected with other Parks that cover the entire Namibian coastline. This area is a large part of the 37.9% of Namibia’s land that is officially protected, making it the third most protected country in Africa. Our project in the Namib focuses on the cheetah, leopard, and brown hyena that inhabit this extremely dry environment. Research on the edge of the Namib is particularly fascinating, as biologists try to uncover the survival secrets of these desert-adapted animals. Ready to experience some of the most unique ecosystems of Africa? If you are interested in learning more about the Greater Kruger ecosystem from experts on the ground, check out our Game Ranger Experience and Rhino Conservation Experience, or you can introduce your students to the area during one of our School or College Trips. To get involved in research and management within large wilderness areas, have a look at our projects in the Okavango and the Namib. By volunteering or travelling with us in the Greater Kruger, Okavango Delta, or Namib Desert, you can be part of the bigger picture of African conservation.